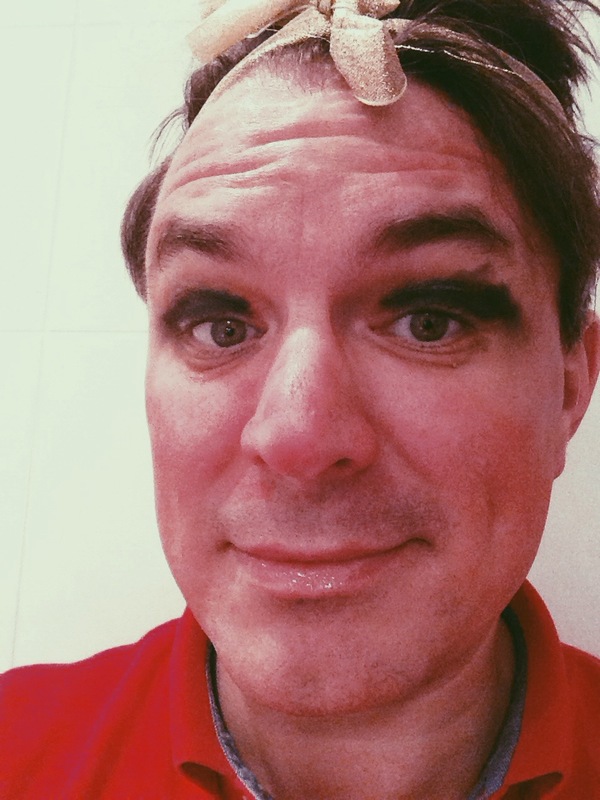 When my 9 year old daughter asked me if I could close my eyes and “don’t peek”, I kind of knew it was make-up time. I could tell by the giggling :) And….why not? I have heard you can use some sort of chemical to remove it. Quickly. I mean…I need to work tomorrow. So..what do you think? Should I hire her as make-up artist? Lol even the head-band!so glamourous!